My first negative response to Jonathan Campanik in our formal written debate, on the Millennium. Jonathan Campanik and I have had a formal written public debate on the issue of the Millennium, and when it began. He affirms that it began in AD 70. I deny that, and believe it began in Jesus’ ministry. This is an important debate, so be sure to read it! Jonathan has presented his first affirmative claiming that the millennium began in AD 70 and will end at a yet future resurrection of human corpses. I deny this, affirming that the millennium began in the personal ministry of Christ / or even at the cross, and ended just prior to AD 70. Consequently we are now in the New Heaven and Earth foretold by Revelation 21-22. (Note that of necessity, Jonathan must posit the New Creation as yet future, since he sees Revelation 20+ as sequential and not re-capitulatory. This is fatal to his position). With this in mind, let me state very clearly that there is no “New Testament eschatology” divorced from, separate from, or different from God’s Old Covenant promises, made to Old Covenant Israel. Peter’s eschatology (i.e. “the restoration of all things”) was the expectation of the fulfillment of the Old Covenant promises made to Israel (Acts 3:19-24). His expectation of the New Creation– the New Creation of Revelation 21-22 – was taken from the Old Covenant promises to Israel (2 Peter 3:1-2; 13). Paul’s doctrine of the resurrection was taken directly from Moses, the law and the prophets (Acts 24:14f; and was the hope of the twelve tribes (Acts 26:6f). The redemption of creation, the “adoption” (the redemption of the body) was the hope of Israel– Israel after the flesh (Romans 8:18-9:3). Furthermore, Revelation– all of it– draws on the Old Covenant prophecies / promises that YHVH made to Old Covenant Israel. To prove his case, Jonathan must prove that Revelation 20-22 predicts a different redemption of the body, a different redemption of creation, from that in Romans 8. He must prove that Revelation anticipates a resurrection different from that in 1 Corinthians 15 which would take place at “the end” and the parousia of Christ, in fulfillment of Isaiah 25:8; Hosea 13:14 and Daniel 12 – God’s Old Covenant promises, made to Old Covenant Israel. All Old Covenant promises, made to Old Covenant Israel have been fulfilled– Jonathan Campanek. But, Revelation 20-22 depicts the fulfillment of the resurrection and the New Creation promises– – promises foretold in the Old Covenant made to Old Covenant Israel. Revelation posits fulfillment of those Old Covenant promises made to Old Covenant Israel, at the end of the millennium. Therefore, God’s Old Covenant promises, made to Old Covenant Israel, remain valid and binding until the end of the millennium. Jonathan cannot, logically, maintain that all of God’s Old Covenant promises to Old Covenant Israel, were fulfilled in AD 70 and maintain a yet future resurrection and New Creation, without thereby demanding that Torah remains valid and that Israel remains as God’s Covenant people. According to Paul, there was but “One Hope” (Ephesians 4:5) and that one hope was the resurrection hope of Israel found in Torah. There was not, and is not, in Paul or John or any NT writer– the idea of two eschatons, one for Israel and one for the church. Such an idea is false to the core, and yet, it is precisely what Jonathan is affirming. Let me illustrate the fallacy of his view, by his own words. Jonathan tells us: “I essentially agree with Mathison and McKenzie on Romans 11. I think the majority of physical Israel which were blinded will be grafted back into the olive tree. In that regard, there is prophetic significance to the re-gathering of modern physical Israel.” But, once again, this is self-contradictory and fatal. But, Romans 11:25-27 is the reiteration of, and the expectation of, the fulfillment of God’s Old Covenant promises, made to Old Covenant Israel. i.e. in fulfillment of Isaiah 27:9f; 59:17f; Jeremiah 31:29f; Daniel 12. (Notice that Isaiah 59 emphatically says the salvation of Israel would be in fulfillment of God’s covenant with them: “This is my covenant with them, when I take away their sin”). So, the salvation of Israel in Romans 11 would be in fulfillment of God’s Old Covenant promises made to Old Covenant Israel. If the salvation of Israel promised in Romans 11 occurs at the end of the millennium– which is Jonathan’s view (and mine) – then notice the following problems. The salvation of Israel promised in Romans 11 occurs at, or near the end of the millennium– Campanek. The salvation of Israel in Romans 11 would be in fulfillment of God’s Old Covenant promises made to Old Covenant Israel. Therefore, God’s Old Covenant promises, made to Old Covenant Israel, will remain valid– and Israel will, therefore, remain God’s covenant people – until the (future) salvation of Israel at the end of the millennium. If Romans 11 stands unfulfilled, then God’s Old Covenant promises, made to Old Covenant Israel remain valid, and Israel remains God’s covenant people. This is inescapable. The promise of Romans 11:25-27 is not a promise to the church. If, as Jonathan says, Romans 11 is about “national Israel,” then it has to be– of necessity– about Old Covenant Israel. National Israel was identified by Torah and her covenant relationship with YHVH. Modern Israel is not Biblical Israel, and there are no Biblical prophecies to, or about, modern day, national Israel. The bottom line is that you cannot protract the millennium of Revelation 20 into the future divorced from God’s Old Covenant promises, made to Old Covenant Israel. Every single tenet of Revelation 20-22 is taken directly from Torah– God’s Old Covenant promises, made to Old Covenant Israel. I will have more to say about Romans 11 and the end of the millennium later, but, let me simply say that Romans 11 is prima facie proof that the millennium did not begin in AD 70– and I will prove that from Jonathan’s own words. 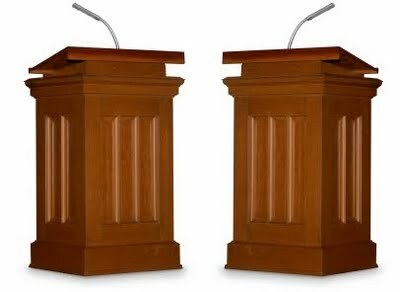 I will now address some of his specific arguments. This is a false contrast. First of all, since John is envisioning the fulfillment of OT prophecy (10:7; 22:6-8). Consequently, the natural view is that since there is only one other referent to Gog and Magog– i.e. in the OT– that John is referencing that prophecy. And this being the case, Jonathan’s view is falsified. Second, Jonathan creates a false contrast. He says that in Ezekiel it is against Gog whereas in Revelation, Gog and Magog come against the church. Jonathan misses the point. In both Ezekiel and Revelation “the war” is against the enemy of YHVH and His people– and in both texts that enemy is Gog! In both texts, “Gog” comes against God’s people; in both prophecies Gog is destroyed. There is no contrast between Ezekiel and Revelation. Notice how fatal this is to Jonathan’s view. All OT prophecy concerning Israel was fulfilled in Israel’s last days, no later than AD 70 – Jonathan. The battle of Gog and Magog of Revelation 20 was an OT prophecy concerning Israel for her last days, being drawn from Ezekiel 38-39. Therefore, the battle of Gog and Magog of Revelation 20 was fulfilled no later than AD 70. The battle of Gog and Magog of Revelation 20 was fulfilled no later than AD 70. But, the battle of Gog and Magog of Revelation 20 occurs at the end of the millennium (Rev. 20). Therefore, the end of the millennium occurred at or near AD 70. The supposed contrast between Ezekiel and Revelation is specious and the arguments just presented completely falsifies the idea that the millennium began in AD 70. For brevity, I will let this suffice for now. In my next installment, I will address the so-called three stage demise of Satan. My argument will be very simple: If I can prove– and I can – that the destruction of Satan, which belongs to the end of the millennium – was near in the first century, and was inseparably tied to the fulfillment of God’s Old Covenant promises, made to Old Covenant Israel, then I will have falsified anything else Jonathan may offer. Finally let me say this: I do not have to address every specific argument that Jonathan may make. If I prove, as I just did, that the climactic, end of the millennium events were near in the first century, then I have falsified his position. If I can prove – and I can – that Romans 11:25f and the salvation of Israel– which Jonathan posits at the end of the millennium – was fulfilled in AD 70, then I have not only proven my position, but, falsified his. In other words, to re-state and re-emphasize, all I have to prove is that the climactic, end of the millennium events described in Revelation 20 were fulfilled in the first century. All I have to do is prove that the events that Jonathan himself posits at the end of the millennium were fulfilled in the first century. Similarly, if I can demonstrate – and I can – that the constituent elements of the millennial reign- as described in Revelation 20- were present prior to AD 70, I will have falsified Jonathan’s claims. And that will be my approach, as seen above. I do not have to examine every minute argument that might be made. I have shown that Jonathan’s admission that all OT prophecy made to Old Covenant Israel was fulfilled by AD 70 is fatal to his claims about the millennium. By taking that view, and positing a yet future eschatological consummation, he creates an eschatology that is unknown in Scripture. All eschatological prophecies flowed through Israel. There was no eschatological hope of and for Israel, and a separate and distinct eschatological schema for the church. I have shown that Jonathan’s admissions and claims about Romans 11 are specious and actually falsify his view, and we will have more on this. I have shown that Jonathan has created a false contrast between Ezekiel and Revelation in regard to Gog and Magog. They are not different battles, at different times. And this being true, it demands that Revelation 20- and the end of the millennium– occurred in the first century. (I hope to address a similar false contrast between “the war” in Revelation 16 / 20. Jonathan’s “contrast” will not stand. For more on the Millennium, see my Who Is This Babylon book. I have an in-depth discussion of this issue there. This public debate on the Millennium is very important, so, do your homework! 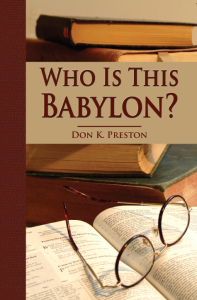 Who Is This Babylon has an in-depth study of the Millennium, and when it began.